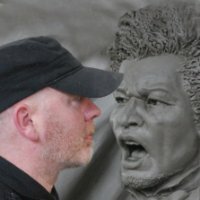 Andrew Edwards | All You Need Is News! ICONIC statues of The Beatles designed and made in the Potteries have been unveiled in the band’s home city of Liverpool. The 8ft high bronze statues, designed by Blurton-born sculptor Andy Edwards, below, stand on the city’s World Heritage waterfront.The statues, which weigh more than a tonne, have been paid for by the Cavern Club and donated to the city.But the work was made entirely in Stoke-on-Trent, at the Wedgwood factory. Andy, an avid Beatles fan, said: “The Beatles statue is the work I’m most proud of, because it has been the most collaborative work. “I can remember walking around the waterfront with the original sketch models and everybody wanted to talk to us, everybody’s got a Beatles story. “You realise how much you are influenced by these four mates. I was a vegetarian, probably because of Linda and Paul McCartney. The sculptor said when viewed from a distance, the work looks as though it is just four lads. “Then you get a bit closer and realise who it is,” he added. “They are portrayed from around 1964. I was trying to capture the period just before they appeared on the Ed Sullivan Show in America. Paul has got a coat he wore in Dublin and he still wore in America. “John is carrying and George wearing a leather jacket. It’s The Beatles about to take on the world and win. 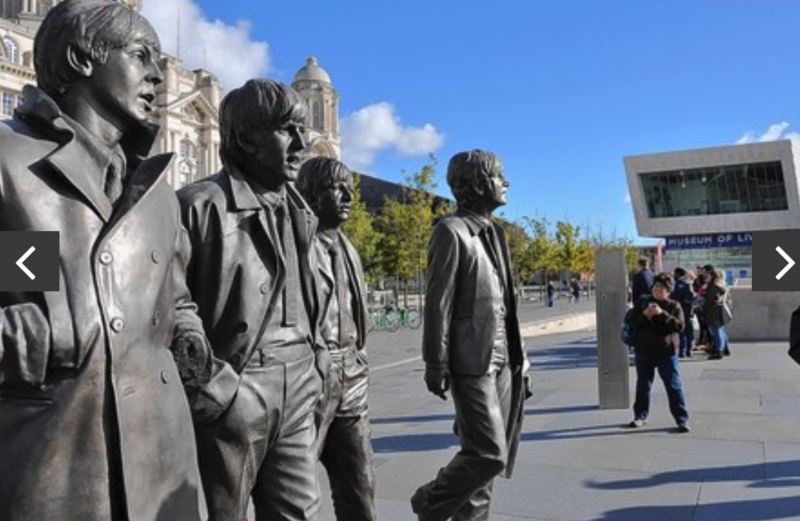 Chris Butler, of Liverpool-based Castle Foundry, where the statue was cast, first came up with the concept around eight years ago, inspired by the image in Liverpool One of The Beatles outside the BBC.